Our Short & Sweet Range is exactly that - a shorter length apron that has the Cutest Bows Ever! 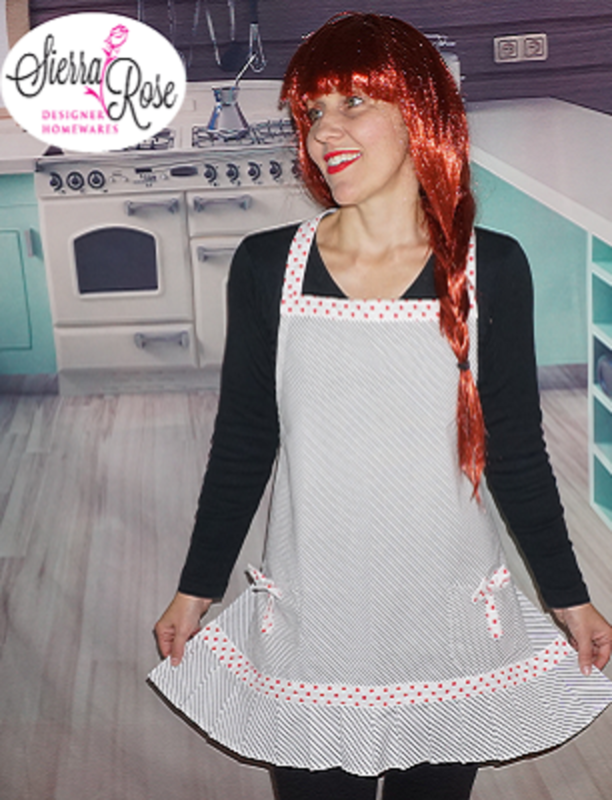 Our Mia Apron has trims and bows that have a white background with red polka dots. The body of the Apron is thin black stripes on a white background. Features a trim on the neckline, 2 pockets with 2 cute bows and a ruffled frilly hemline with trim. The apron ties at the neck and waist.